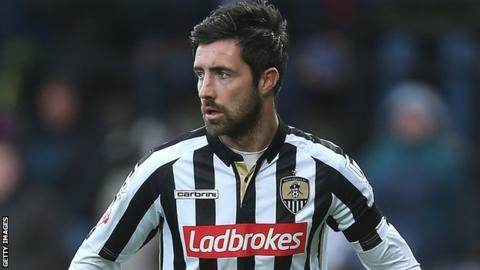 Notts County defender Alan Sheehan is hoping he can stay at Meadow Lane beyond the end of his loan spell. The 29-year-old has two games left of his current loan from Bradford City. Sheehan told BBC Radio Nottingham: "I would like to stay. I am living in by best mate's spare room, so it is not ideal being on loan. "We'll talk and we'll see what we can come to, but I am happiest when I am playing for Notts County." The defender spent three seasons at Notts from 2011 before signing for Bradford in 2014. He has made 14 appearances for the Magpies this season, including Tuesday night's 2-2 draw at Wycombe Wanderers.